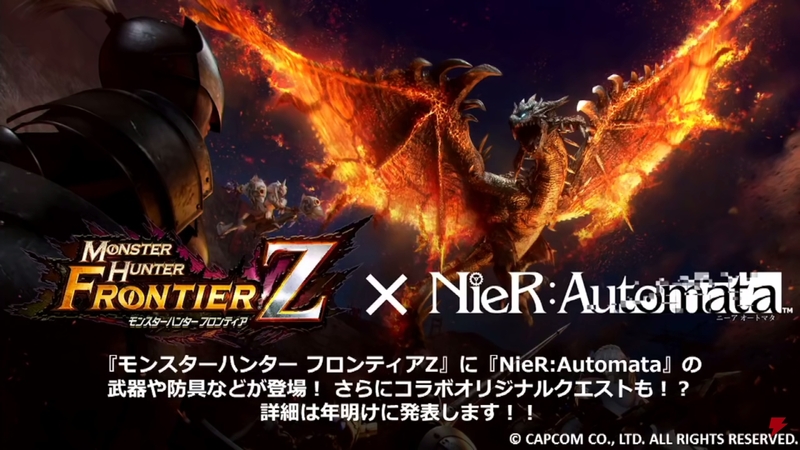 NieR: Automata has just announced a collaboration with PSO2. The collaboration is set to begin in March and includes costumes, hairstyles, accessories, and weapon camos from the main characters; 2B, 9S, and A2. 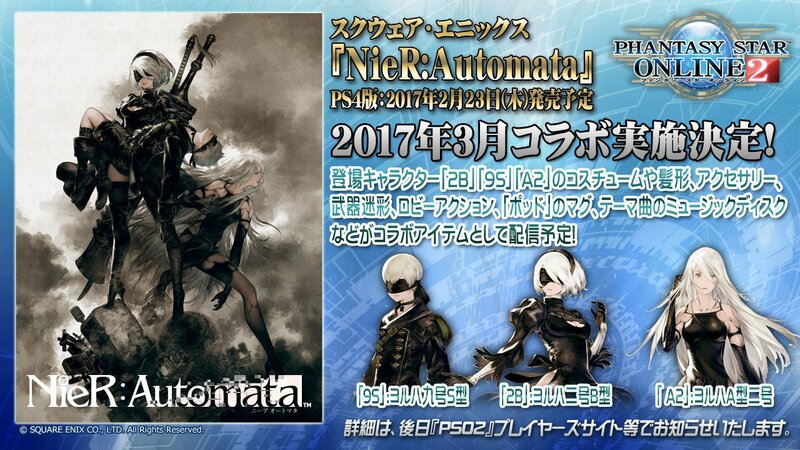 The event will also include a NieR: Automata music disc, lobby action, and “Pod” mag device. NieR: Automata’s collaboration will also extend Monster Hunter Frontier Z, with talks of a collaboration quest, along with weapons and armor. No it’s Nier and Monhun, not Monhun and PSO2. I’ve separated the two collaborations since people were getting confused. Wow, PSO2 keeps drawing in more obscure games. Obscure? Nier Automata is very high profile, unlike the original Nier. Tons of people are hype over it because of its E3 trailer. I’m more curious what these other “obscure” games are he speaks of. Nier, Gravity Daze, and a bunch of previous games like Arthur something and Prison-themed game are all pretty niche. – Arthur (or should I say Kai-Ri-Sei Million Arthur) has a rather impressive sales figure for Squeenix’s totally new IP. Also worth the note that Kai-Ri-Sei Arthur is a sequel to Kaku-San-Sen Million Arthur. – NieR:Automata is super hyped because it’s developed by PlatinumGames, whose reputation is well-known by now. Not to add it’s the sequel to the Drakengard’s spinoff, NieR. – Gravity Daze won an award in it’s homeland (JP), and a sequel should be launched this year. well, Arthur, as it was stated in interview, was an outside collab request, so I could say it was in bigger need of advertising in this case than pso2.